Best HDMI Cable to Connect Pc to Tv/Projector . HDMI cables are the best way to Mirror the laptop/Computer screen to a Bigger Display , But finding a good Hdmi cable with affordable price tag is seriously a Difficult task . So today we are here with the Lucido HDMI Cable Review . It comes in three different sizes i.e. 1.8/3/5 meters. You can choose a suitable one for your usage.You can connect the HDMI cable to your projector and place your laptop pc upto 3 Metres away . The built quality of this cable is Good. When you unbox the product,you can witness the type of Jacket on the Lucido HDMI Cable, inside it is made out of Copper Drain wire with Copper Shielding and Al-mg alloy wire. Related : Xiaomi Redmi 4 Price, Specifications, Features, Review . It is a type 1.4v. For those of you who don’t know what is type 1.4v, it is the latest version in the HDMI cable which is capable of supporting upto 4K x 2K resolution along with 3D and audio and even Ethernet. It works as a bi-directional communication wire that provides highest speed. The HD Tv’s work with an 1.4v but if you want it for something like Raspberry Pi, you might want to go for a 1.3a cable which is enough. If you want it for your TV then make sure that you have a female connector( which is the default for most devices). Let’s talk about the actual function of the cable: the resolution. The cable can support full HD 1080p at the frequency of 60Hz for 22.8m or longer. If you need higher resolution, you can go for 15.2m which can provide you with ultra HD resolution at 30Hz which roughly 3840×2160. The voltage is 30V. The great thing is the impedance which is 100ohms +- 10 ohms which means the resistance against the current flowing. This cable can last up to 75 °C hence no need to worry about burning it easily but at the same time, works at temperature as low as -20 °C. The HDMI Cable is available at the Company’s official website . Related : Micromax Canvas Unite 4 Pro Review . 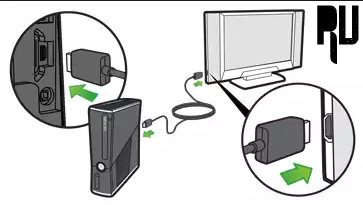 How to Connect Lucido HDMI Cable to Your Laptop And TV ? First of all Insert the One side of HDMI cable into the Hdmi port of your Laptop or Computer . Now Look for the Hdmi port in your Tv/Led and insert the HDMI cable into it . Now press the Input button on your Tv remote . Now choose HDMI as the Input method . That’s all This will connect your Laptop and Tv . Copper Drain wire for Faster transfer . Supports 2K and 4K resolution . Date rate of upto 10.2Gbps . The Cable is too much hard . Sometimes ejects automatically out of the HDMI port . 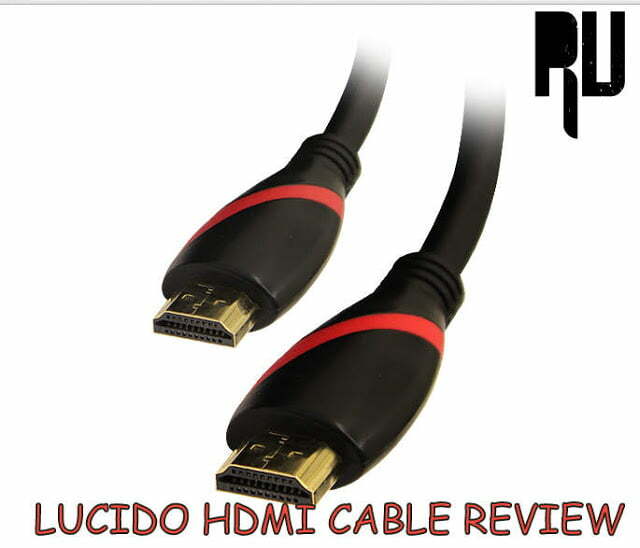 So this was our review on the Lucido HDMI cable review i hope you liked our guide on How to connect lucido hdmi cable to your laptop and tv .